If Huawei, the world’s biggest telephone equipment maker and leading supplier of transmission hardware for Europe’s telecom companies, with a turnover in excess of $100 billion, were a public company, its share price would have been battered lately. It is accused by US trade warriors and spy agencies of using its market pre-eminence to eavesdrop for China and to booby-trap our cyberspace for the next cold war stand-off. Nudged by the US, more and more countries are excluding Huawei from lucrative, next-generation communication investments. Malta too was warned by the US authorities to think twice before trusting Huawei with the roll-out of state-of-the-art 5G networks on the island. To up the ante, Canadian authorities – on behest of the US – arrested Meng Wanzhou, Huawei’s chief financial officer and daughter of company founder Ren Zhengfei. Accused of Iran-embargo violations, she awaits extradition to the US where she could be jailed for up to 30 years. The world is preparing for 5G networks, where vast quantities of data derived from thinking hardware, self-driving cars, autonomous manufacturing, blockchain accounting and all forms of permanent human monitoring will flash through the ether without a time lag and at incredible speed. Australia has already blocked Huawei from providing equipment for its 5G network, New Zealand is considering a similar move, and France’s telecom provider Orange declared it would “not use Huawei”. Anxieties about the Chinese technology giant – and its peer ZTE – come late. Huawei sold 25 million mobile handsets in Europe last year alone. It is market leader in Germany and second worldwide, just behind Samsung. Chances are high that you are reading my column now on a Huawei smart phone. 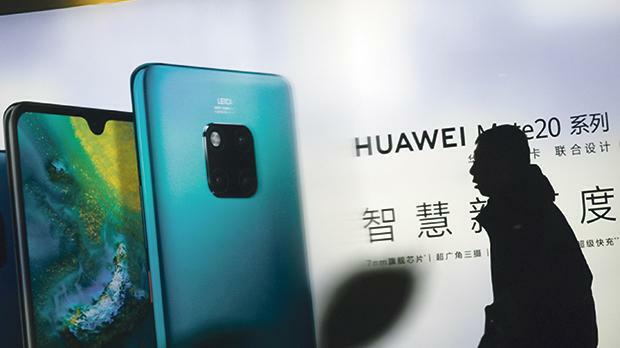 Operators like Vodafone, Telefonica, Deutsche Telecom and BT relied for years on Huawei equipment – more than on Ericsson and Nokia, which had a hard time to compete. To remove Huawei’s tens of thousands of masts and relays supplied over the years would be an absurd and expensive exercise. To exclude the behemoth from future supplies will be economically painful. Ren’s company, a darling of China’s Belt and Road policy and considered the pillar of China’s industrial future, has taken the lead in 5G know-how. With an annual research budget of $13 million and supported by an army of development engineers, Huawei is at the vanguard of new telecom technology. While European countries are still experimenting, China will have completed by next year the roll-out of a fully functioning 5G network for its 1.4bn citizens. For them, or, one could argue, against them. Permanent surveillance is the antipode of freedom. The fears permeating western security thinking are justified. Yet to see these fears now manifested in Huawei is bordering on the comical. I will explain why. China’s rise to become an economic powerhouse and the world’s biggest creditor was not achieved by benevolent development assistance from the West, like a second Marshal Plan. Neither did it take apart western machinery to find out how it worked, like Japan did in the 1970s. It sent its scholars and students overseas to harvest knowledge. It milked technological progress by forcing foreign companies who wanted to sell into the seemingly bottomless Chinese market to set up shop in China. And then it insisted for the manuals to be handed over and whatever know-how there was. It also voraciously bought high-tech industries abroad. What it could not buy, alas, it stole, by means of physical and cyber espionage. Hackers are officially tasked: Chinese companies are obliged by law to support intelligence gathering. Copyrights are acquired by photocopying, not by honouring rights. We looked the other way and let our industries shoulder the bill. To add insult to injury our governments rolled out the carpet for Chinese manufacturers and infrastructure investment at home. State aid to Chinese corporations was condoned while western companies were punished when their companies received financial support from their governments. The reason why we looked on was our firm belief that the Chinese regime would soften up and rising wealth would carry democracy. Well, it did not quite work out that way. China now has a ruler for a lifetime, and individual freedom and the rule of law resemble a sophisticated form of Stalinism. But China Corp. has taken off and landed squarely on the dark side of the moon. The situation is serious. Chinese assertiveness is bellicose. It has a military dimension to it. Hackers like the feared Stone Pandas, in the business of governmental, defence and industrial espionage, are ministerial employees, not freelancers. To accuse company founder Ren of his past as military officer in the PLA is pointless. Every CEO of an Israeli company worth his or her money has a profound military background. To point out that Huawei is a private company, as Ren does, is equally pointless: everyone and everything is subordinated to the political leadership in China, no matter how ‘private’. Yet, to think that Huawei had a red button to annihilate us in cyberspace, or was selling us hardware with hidden backdoors to our most sensitive coding for the sake of the Chinese fatherland, is naive. It’s business. If we cannot find faults, flaws and vulnerabilities in the equipment we buy to depend upon, we’ll have not much left to defend ourselves. If China had no other means of stealing our most sensitive secrets, we would not consider it a strategic threat today. Fortresses are not taken by cannon but by bribery. To vilify Huawei is a distraction. China does not need a 74-year-old super villain named Ren to put the free world in danger. Companies like Facebook and Google will leak our data and our most intimate secrets to the highest bidder without his assistance. They already abide by Saudi and Chinese censorship demands and are for sure willing to make use of China’s vast data trove of citizen surveillance. Strategic companies like Cambridge Analytica or for-profit armies like Blackwater will always go for the most lucrative offer, at least when they hail from countries where the reason of state does not count for much and profitability is the only yardstick of industrial and societal progress. The mixed messages Donald Trump and his inept acolytes receive from civil servants, lawmakers and industry, and desperately try to digest into a trade policy, look like a war fought by morons. Some tariffs will come, others will go and nothing will be gained strategically. A workable middle ground looks ephemeral. Supply chains will be further disrupted, industry will suffer and China will march on. If it comes to the worst, excluding a hot conflict for once, 5G will develop with a Chinese standard and the standard for the rest. It will leave more collateral damage than profit. The hope that China will meekly depend on US components and copyright for its progress is already implausible. Our progress too depends on a sizable portion of their parts and their knowledge. We can’t even fly a drone in combat without Chinese technology. China will grab what it needs. For us retail investors a growing rivalry, strategic jostling and belated lifting of the drawbridges will mean that quite unexpectedly, laggards like Nokia and Ericsson will reap more contracts than their competitiveness would have suggested otherwise. After years of disappointment I might invest in them for once. Shares of telecom companies trying to expand into 5G without Huawei hardware will have a hard time keeping their costs down. I would advise to sell. Vodafone will not fall into such procurement hysteria. The UK, suffering from Brexit, will not be in a position to be too choosy about China. And it has vetted Huawei’s equipment since 2010 in close cooperation with GCHQ, the UK’s cyber espionage agency. This is what I would call a good middle ground. Huawei, on the other hand, owned by its 180,000 employees and counting, will remain a thriving business. Sadly there’s no way for us to invest in it. Your cell phone, in the meantime, will spy on you regardless of who wants to come after you. It is your billboard to the world. Smile when you take your next selfie. Andreas Weitzer is an independent journalist based in Malta. He reports on the economy, politics and finance. The purpose of his column is to broaden readers’ general financial knowledge and it should not be interpreted as presenting investment advice or advice on the buying and selling of financial products.